This bow is super cute and perfect for small to medium size dogs. 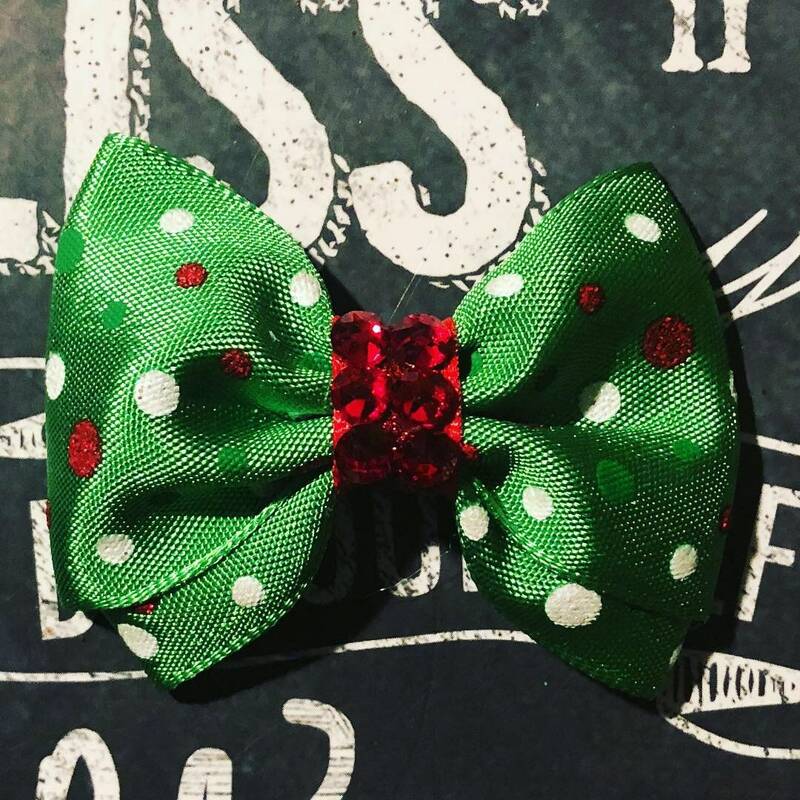 The bow is approx 2" and it is made with a 1 1/2” green satin ribbon with red and white glitter dots. 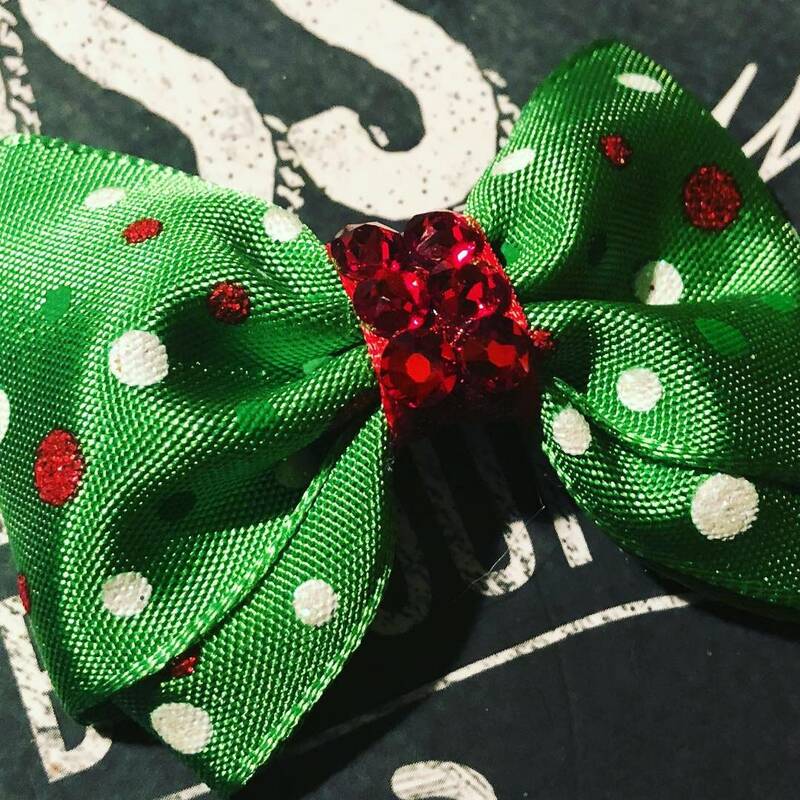 The bow is accented with beautiful sparkly red Swarovski crystals for the centerpiece. The bows can be added to a french barrette, alligator clip, or latex groomer's bands. Please specify clip type when ordering. All bows are handmade. **Standard French Barrette is 1.5” (40mm). Please convo me if you need a small size.